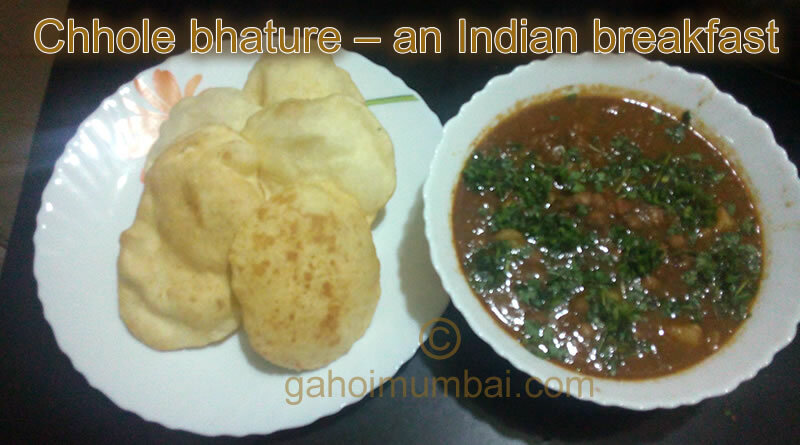 Chhole bhature – an Indian breakfast and its recipe with video! Captivating and tasty North Indian Punjabi Chhole Bhature Recipe. Chhole together with Bhautra is a relishing and mouthwatering breakfast as well Indian food dish. Chickpeas or Kabuli Chana is a rich source of protein and is very low in calories and rich in fiber. Boiled Chickpeas are sautéed with onion- tomatoes and spiced with strong and warming flavors of spices to create this North Indian cuisine. It’s a delicious and easy making meal. Chhole Bhature recipe is one of the most famous Punjabi recipe which is now liked almost all over India and even overseas. Chhole stands for a spicy curry made with white chickpeas and Bhatura is fried leavened flat bread. Chhole Bhature is a spicy, tasty and a heavy dish. It is found in each restaurants or dhabas have their own flavors and taste in the Chhole. In some places it is very spicy, at other places it has tangy taste and the consistency of the curry also varies from slightly thick to semi-dry and dry. 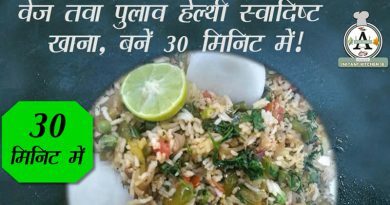 This Chhole Recipe has a homely taste and flavor. We try the taste like the restaurant or dhaba versions. The Bhature size and flavor varies from restaurants to restaurants. The bhature should ideally be less oily and should puff fully. They should ideally be eaten hot and fresh. Bhatura made with wheat flour (step by step instant recipe) and instant aloo bhatura (step by step recipe) or this easy bhatura recipe (step by step recipe) or this quick bread bhatura recipe. Along with Chhole Bhature serve the sliced onions, green chilies and lemon wedges. This a very satisfying dish and you might feel like having a short sleep after eating it. Ideal for weekends or holiday time. The Chhole curry can be also served with Pooris, Naan or Kulcha. They taste equally good with Bread or Pav (Indian rolls). Chickpeas comprise high amount of dietary fiber and low amount of fat. Chickpeas is a rich source of vitamins and minerals. It can help to control weight, improve intestinal health, and decrease the risk of type II diabetes. It is a good source of Vitamin C, Vitamin E, beta-carotene and loads of other antioxidants along with phytochemicals. Chhole Bhatura is very healthy, low on calories, low on fat and still delicious. ← Raw Jackfruit Curry or Kathal Ki Sabji and its recipe with video! 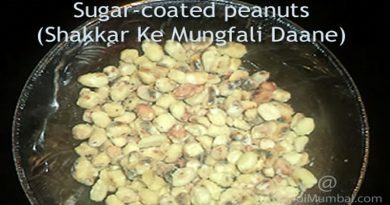 Sugar-Coated Peanuts (Shakkar Ke Mungfali Daane) and Its Recipe!